LCR is a game played with three dice, three players and a dozen or so poker chips. Each has the letter L, C or R (representing left, center and right) printed on one side. Dots are printed on the remaining sides. Each player receives an equal number of chips at the start of the game. 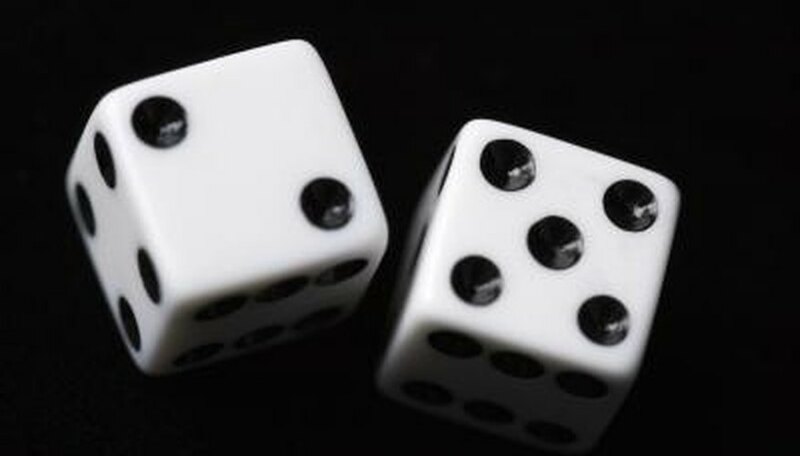 The starting player rolls the three dice. Rolling dots means the players can hold on to their chips. Rolling an L, R or C means the player must pass a chip to the left player, the right player or place it in the center pot, respectively. The last player with chips wins. Place 2 cups of baking soda into a large pot. Mix in 1 cup of cornstarch and 1 1/2 cups of cold water with a wooden spoon. Mix ingredients until they are smoothly integrated. This recipe, found on the Homeschooling Ideas website, makes about 2 pounds of clay. Place your pan on a stove and set the heat to medium and wait for it to boil. Stir the mixture with the wooden spoon to get rid of lumps. Remove the pan when the mixture is as thick as mashed potatoes. Pour your clay onto a plate and cover it with a damp kitchen towel. Let your clay cool until it is room temperature. Lightly dust a countertop with cornstarch and knead your clay with your hands. Kneading the clay will remove any stiffness or lumps that are left in the clay. Separate the clay into three pieces and mold them into cube shapes with your hands. There should be six equal sides to each cube. The size of the dice can vary, depending on what you want. Let the dice dry until they harden. Set them on a piece of newspaper or wax paper to avoid getting clay stuck to the counter. Once they harden, roll them on a counter to test how well they roll. If any rolls poorly, create a new die to replace the one that rolls poorly. Paint the sides of your dice a consistent color with the paint and paintbrush. Apply three coats, letting the paint dry well between coats. Paint your letters and dots on each dice with a different color. Let them dry. Place your dice and at least a dozen poker chips in your small cloth bag and tie it shut to store your game safely.